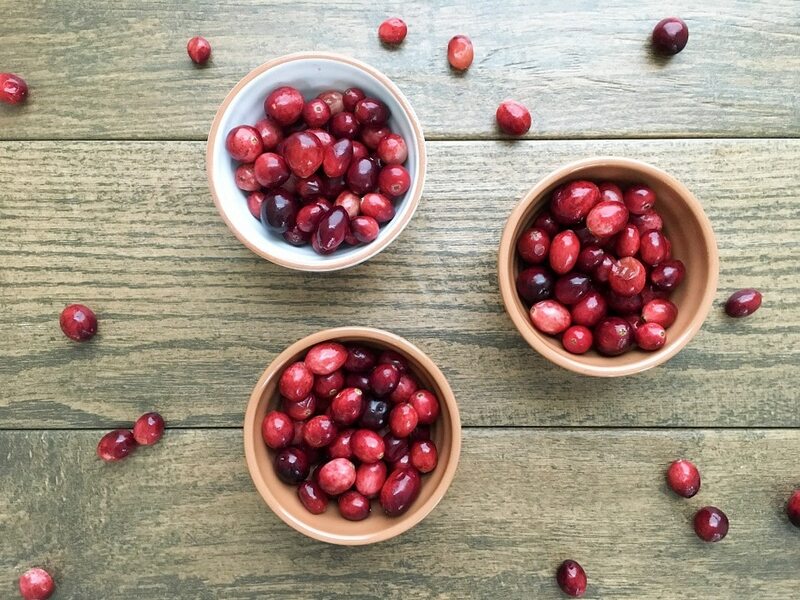 Tis the season for cranberries! Well, it’s countdown time before Thanksgiving. Here’s a question for all the cooks, are you prepared and organized? Are you going to venture out this year with any new recipes or do you plan on keeping it safe by sticking with your Thanksgiving tradition? 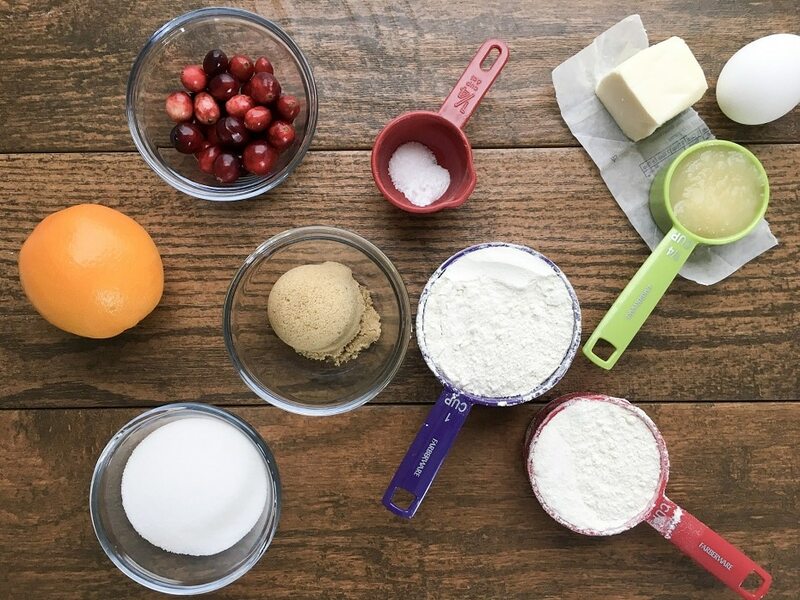 I’m keeping with the tradition as far as the main course is concerned; however, I’m going to play around with new dessert recipes which brings us to these delicious Cranberry Orange Cookies. So, we have family members in town, and I decided to bake Cranberry Orange Cookies. To be honest, this was my first time baking these cookies, but I felt pretty confident about the end result. I thought this would be a perfect time to use my mom and niece as taste testers since they too have a major sweet-tooth. Although I was a little nervous, I knew they would be totally honest with me. After 7-10 minutes of baking and 3-5 minutes of cooling, it was time for the big reveal (smile). My niece immediately said, “These are really good”, and my mom said, “Wow, these are really good” as they went for seconds – YEEEESSSSS !!!!! The dough for these Cranberry Orange Cookies are super easy to make and the cookies stay fresh and moist. As a side note, to cut calories, I used 1/4 cup butter plus 1/4 cup unsweetened applesauce. I wanted a little texture and I know my mom loves walnuts, so after consulting with my niece, I decided to add chopped walnuts as an additional add-in. If you’re curious about other dessert recipes in which I use applesauce, check out my Healthy Pumpkin Walnut Bread. 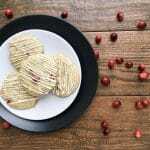 If you try this recipe for Cranberry Orange Cookies, let me know by commenting below. I’d love to hear from you. 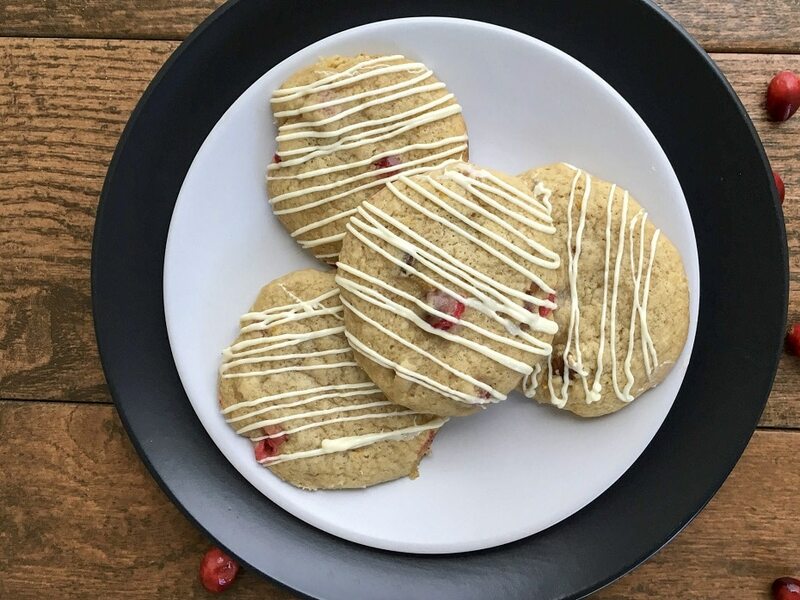 Cranberry Orange Cookies are made with plump fresh cranberries and the right amount of orange zest. They're super soft, moist and just bursting with flavor in every bite. In a bowl cream together sugar, butter and applesauce using a hand-held mixer. Add orange zest and egg and beat just until yolk breaks. Add vanilla extract and beat for just a couple of seconds. Set aside. In a separate bowl mix dry ingredients by combining flour, baking soda, and salt. Add half of dry ingredients to wet ingredients and mix just until combined. Add remaining dry ingredients to wet ingredients and mix until all is combined (Do not over-mix). Fold in cranberries and walnuts. Using a cookie scoop or spoon drop dough unto cookie sheet. Bake for 7-10 minutes, remove from oven and let cookies cool on cookie sheet for 3 to 5 minutes. (Please do not over bake. Cookies may not look done when they are first removed from the oven; however, they will continue to bake as they cool). Place cookies on cooling rack. Melt white chocolate as directed on packaging and drizzle over the top of each cookie. Instead of drizzling with white chocolate, feel free to drizzle the top of each cookie with an orange glaze. Mix powdered sugar, 1 to 2 table spoons of orange juice or juice from a fresh orange, and a splash of vanilla extract. These seem great! How much orange zest and when do you add it? Hi Andrea and Happy New Year. Thank you very much for reaching out. I absolutely love these cookies especially when they are straight out of the oven. I just updated the post to answer your question. So, I add the zest of one orange after creaming the butter, applesauce and sugar. Please let me know if you have any other questions. ~ Take Care.